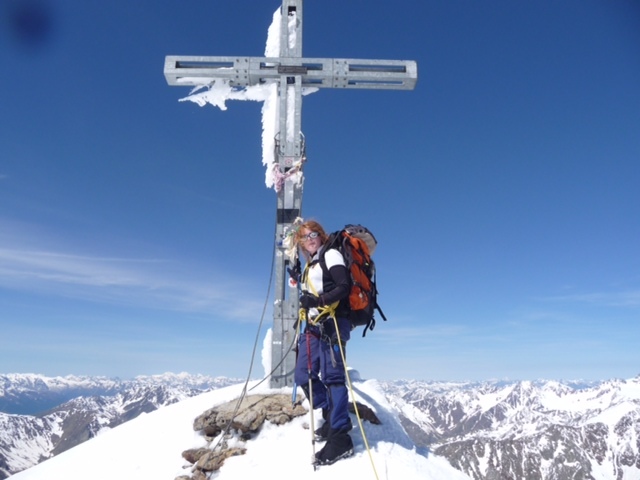 The aim of Exercise Alpine Challenge 2014 was to introduce seven fairly inexperienced cadets to Alpine Climbing, with the view of tackling three of highest and most interesting peaks in the Austrian Otztaler. 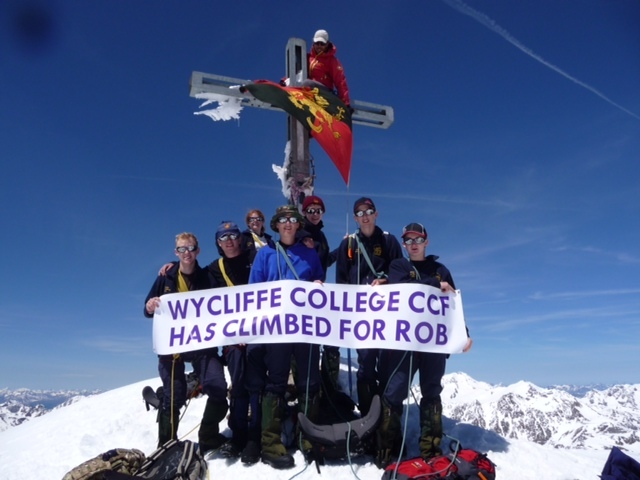 This is one of the many mountain ranges in the Tyrol District and whilst it is not the highest area in the Alps, there is little doubt that these impressive peaks did provide a demanding challenge for our cadets. 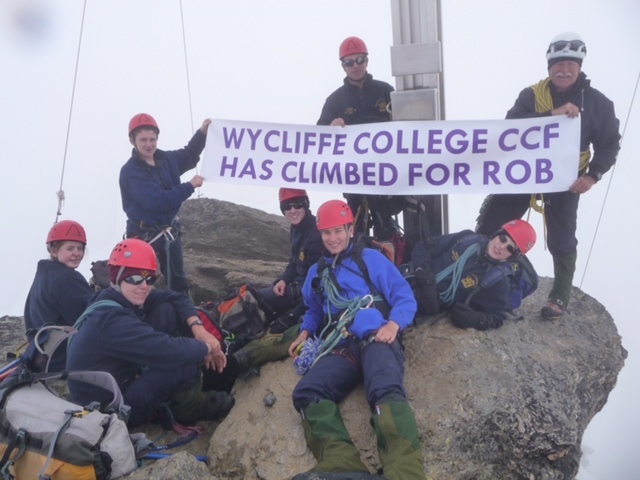 We also did this for Robert Camm, one of our previous Cadets who was on the 2010 expedition and has since been tragically involved in a car accident where he broke his neck. We were based at Camping Solden. There was pre- training on the Rattenbach Glacier, this was to introduce the team to glacier and ice work. All were given the opportunity to become familiar with their crampons, ice axes, and glacier travel and rope systems. The cadets were now ready for our three climbing challenges. The Hochwilde at 11441 ft was the lowest of all three peaks. The vertical rock, exposed traverses provided everyone with a real challenge. We were now starting to acclimatise and there was no doubt that all were moving with much more fluency and that breathing was not as laboured as on the Similaun peak. By the way it was the fastest that we have ever climbed this peak! The Wildspitz is the highest peak in the Otztaler, at 12444 ft. Unfortunately and sadly this time we couldn’t do it as the weather on the planned day for climb was looking pretty awful, it wasn’t worth the risk. This was a very pleasant, fit and well-motivated group of cadets. All gained a great deal of experience and personal achievement in this rugged yet extremely beautiful (not so beautiful on the Wildspitz!) area of the Austrian Alps.